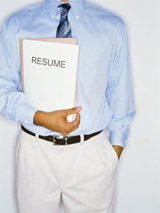 What are the defining elements of your hospitality resume? Developing a new Hospitality resume can be a daunting prospect. What’s the best way to present yourself? Which elements of your career should be highlighted (and which left off)? One common misconception is that every part of your resume should be 100% original. Not only is this an incredible time-consuming approach, it has been shown, time and time again, to be ineffective. When recruiters and hiring agents evaluate a potential candidate, they’re primarily searching for three to four defining elements. The appeal of these elements are the driver behind who gets selected for interviews, and ultimately, who gets a job offer. Therefore, the main responsibility of your resume isn’t being original, but communicating these three to four defining elements in a variety of ways. Here are three ways to bring your defining elements to the forefront of your resume. 1. Develop a powerful opening paragraph. A powerful resume opening “frames” the rest of the document, quickly outlining the areas where a candidate feels strongest and differentiating him or her from the competition. As a professional in the Hospitality industry, it’s your job to boil down everything you’ve accomplished to date into a list of three to four defining attributes. Feel free to be creative here; some candidates might wish to highlight a specialized certification, while others might want to call attention to a high-level responsibility at their previous job. Keep it short and to-the-point. When executed correctly, a strong opening paragraph will consistently result in a more in-depth examination of your resume by recruiters and hiring agents. 2. Expand upon your opening paragraph in the work history. Many Hospitality jobseekers make the mistake of developing their work history before tackling the opening paragraph of the resume. Going in the opposite direction is a much more effective approach, as it will enable you to filter your work history through the three to four defining attributes you’ve identified. When describing responsibilities for the jobs you’ve held, always highlight those related to your defining attributes first. Also, be sure to create a “Key Accomplishments” or similar section for recent jobs that highlights concrete successes related to them. Never lose sight of the focus of these edits, which is communicating a particular set of skills that will set you apart from other professionals. 3. Keep closing sections relevant. By executing the previous two steps, you’ve taken control of how you’re perceived as a candidate and made a strong case for why you’re suited for the position you’re applying for. End it on a high note by only highlighting relevant education credits, professional memberships and other details at the tail end of the resume. The days of including a “Hobbies/Interests” section are long gone. If the content doesn’t directly support your ambitions, leave it off. Anish Majumdar, CPRW is a Career Expert and Owner at ResumeOrbit.com. 98% of clients report an increase in interviews within 30 days, and all work comes backed by a 110% Satisfaction or Money Back Guarantee (in writing). Submit your resume for a free critique today!